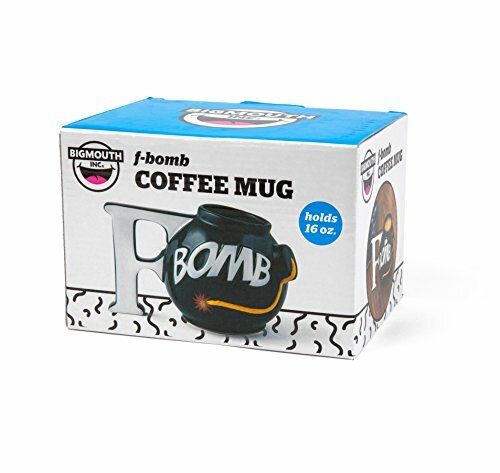 F-Bomb Mug - Moar Stuff - You don't need it but you know you want it. 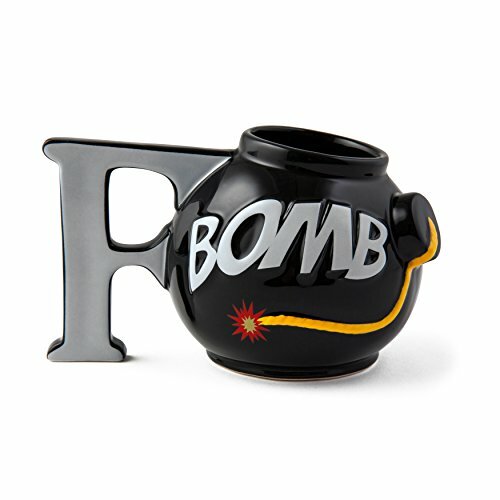 The BigMouth Inc F-Bomb Mug is THE ORIGINAL F-bomb mug designed and created by BigMouth Inc with thousands sold since its launch! Grumpy in the morning? Drop the F-Bomb a lot before you get properly caffeinated? 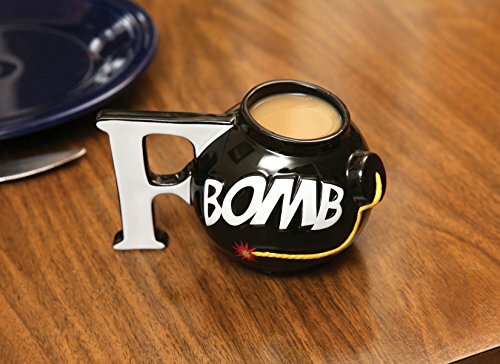 Well, if that’s you then the F-Bomb Mug is something you’ll appreciate. Made of high-quality ceramic, it will hold up to 16 oz of your favorite beverage. It works just as well with cold liquids as it does with hot ones. Even if you never use it to drink coffee, it’ll look great sitting on your desk. It will, at the very least, cause people to giggle when they see it. It would make a great gag or white elephant gift for that grumpy, foul-mouthed, ex-sailor in the office. Dimensions 6.3 x 4.5 x 3.7 inches. Made of high quality ceramic, it holds 16 ounces of your favorite beverage. Wash your mouth out with coffee or tea, not soap.